rodeasdown.com.au – Better than going to the pictures, pity about the broadcast. A home cinema is all about getting a cinema experience at home, right? Actually you can do better than that. I’ve had an OLED television in the man cave for a few weeks and it made my home cinema better than going to the movies. My wife pointed this out just as I started thinking it. But an important note here; we were both talking about home cinema; broadcast television is another matter. 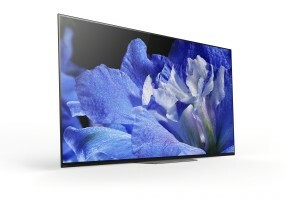 We have good audio so the sound is spot on, and with the OLED the vision is stunning. Projection systems cannot match the definition and can’t come within cooee of the contrast. And yet the OLED picture is just as gentle and easy on the eye as gold class. The brights are not washed out, the dark patches remain dark yet still carry all the detail of what’s going on in there, the colours are accurate and, yep, gorgeous. 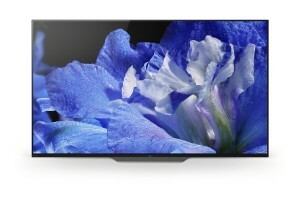 This was Sony’s entry-level 139 cm A8F which, at $3499 ain’t cheap, but then it’s also far from expensive as OLEDs go. A 164 cm A8F is $5298. Both have high dynamic range (HDR). I fired up some 4K HDR movies through an Oppo disc player and the results were jaw dropping. Okay, 8K televisions are now operational and will be on the market reasonably soon, but one wonders how definition can get any better than this and, if it does, will we notice? Prometheus is spectacular. Dunkirk and Everest are almost as good and also better than I got in the cinema. The disappointment came with broadcast. My old Pioneer Kuro plasma ate the Sony on broadcast, even on programs shot and transmitted in high definition. Some news vision shot in America and programming pre-dating HD is uncomfortably lacking with the Sony; fuzzy definition, rubbery skin tones. I tried a few old DVDs which were fine and Blu-rays were great. Netflix was okay and so was YouTube. But broadcast is still a major consideration because when you need it, you really need it. I’m thinking of grand finals, royal weddings, elections and mid-term changes of prime minister. So here’s the plan. Until Sony’s video upscaling can do the job with broadcast (or unless you can accept it the way it is) you’d only buy one for a home theatre. For your day-to-day telly you’ll still need a regular high-def or full high-def screen. This suits us because we have a home cinema upstairs and the regular television downstairs, but not everyone is as lucky as us. It’s possible to spot the differences between OLEDs from different manufacturers, but it isn’t easy. All of them have brilliant definition, brilliant contrast and a gorgeous colour palette. So the manufacturers dress them up with features to establish points of difference between brands and indeed between the models within the brands. This means small things like Sony’s clunky remote suddenly become deal breakers for many people, me included. The company’s big selling point is acoustic surface technology, where the speaker has become part of the screen. And it sounds pretty good, if entirely one dimensional, until you hook up conventional speakers. Seriously, people who buy premium screens without also getting quality sound systems are robbing themselves of a great deal of performance. And pleasure. “Do you want an OLED?” my wife ventured bravely. Oh yes please, I want a 196 cm one and all I need is 16 grand. The guy who delivered the Sony offered me $800 for the Kuro. It’s a start but I can’t part with it. Maybe I’ll try grand larceny. First published on smh.com.au October 2018.